The Star is always a welcome card to draw, full of inspiration, possibility, creativity, insight, understanding, and new ideas. It's lovely to have drawn such a hopeful positive Major Arcana card today. 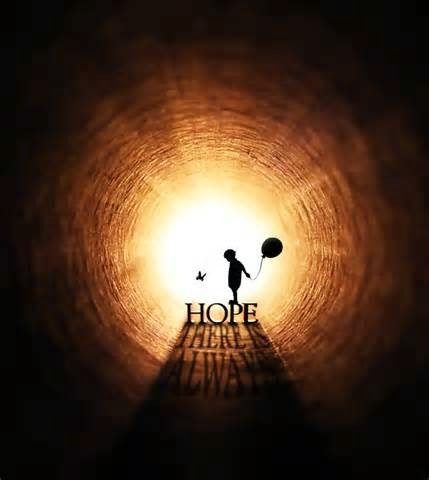 As I reflect on what hope means and where I have found it, I conclude that hope means everything to me, because there have been many times in my life, when I felt like there was no hope. No hope for happiness. It was for others, but was elusive to me. In 1994 I finally came to the realization that I was responsible for my own happiness. This gave me hope. Fortunately, I had a belief in the God of my understanding, that also gave me a lot hope, and after learning to care for myself, it I was able to care for others, and to understand hope, which I believe is a spiritual gift given through Grace. Humility, humour and having a love for all humanity gives me hope. The great hope I see, that others possess, in spite of having been through so much suffering and adversity, gives me hope. Appreciating and being grateful for the little things, helps me to maintain hope. Mostly hope is about trust, persistence, and prayer. I would love to hear what hope means to you, and what gives you hope. I love Julian of Norwich. Hi dear Catherine! Your post is beautiful, deep and positive. When I look at the past in my life and I see all the difficulties and strong things had happened to me, I tell you my friend, that only hope, faith and positive mind supported me, and everything and each of these situations came to a successful end. Hope strengthens us. So The star means great for me. A kiss and Muchas Estrellas!!!!! Your wise words are so true about hope strengthening us.